It was a very early and cold Monday morning. Not ideal. 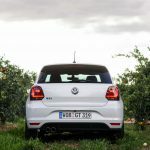 However, the day was looking good because we were on our way to the airport for our flight to Valencia where the new 2015 Volkswagen Polo GTI was waiting for us for a review! Circuito de la Comunidad Valenciana Ricardo Tormo was the place where the international press presentation took place. 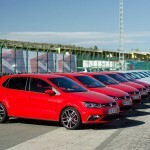 We were welcomed by a line-up of red and white Polo GTIs and a handful of silver coloured examples. With the sun on our faces, we started with a walk around the cars to inspect the exterior styling changes. The first thing we noticed were the 17-inch light alloy wheels. The combination of silver and black with red calipers looked great. The red touches continue throughout the car and especially the front grille which features an eye-cathing red line from headlight. The front bumper looks more aggressive thanks to a new design as well. It also looks more like it’s bigger brother, the Golf GTI. 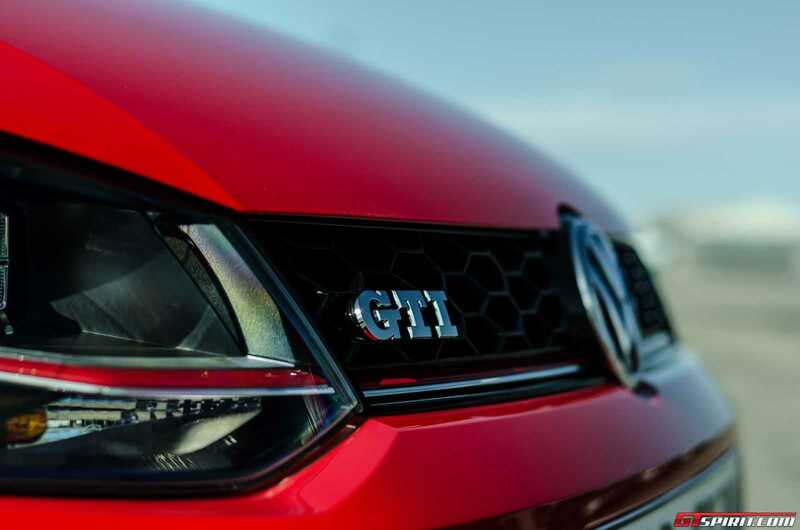 In the grille and on the side, we found GTI badges which denotes this as the most potent Polo in the range. In contrast, the rear of the car sees much more subtle changes. The revised roof spoiler and diffuser were finished gloss black, capturing the eye. 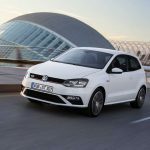 The Volkswagen Polo GTI’s ‘fahrwerk’, the chassis, was the first subject of the press presentation. 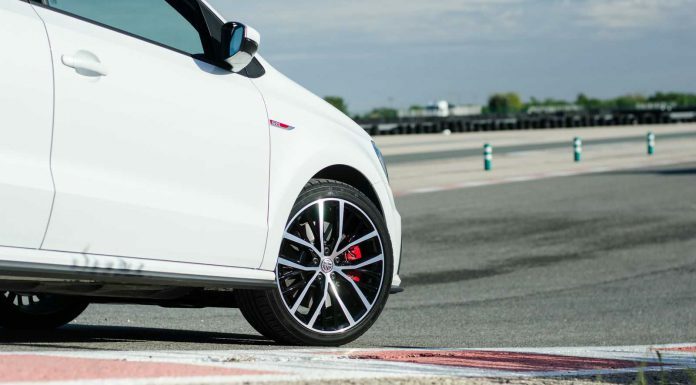 The GTI has sport suspension as standard but ‘Sport Select’ suspension is a new option. 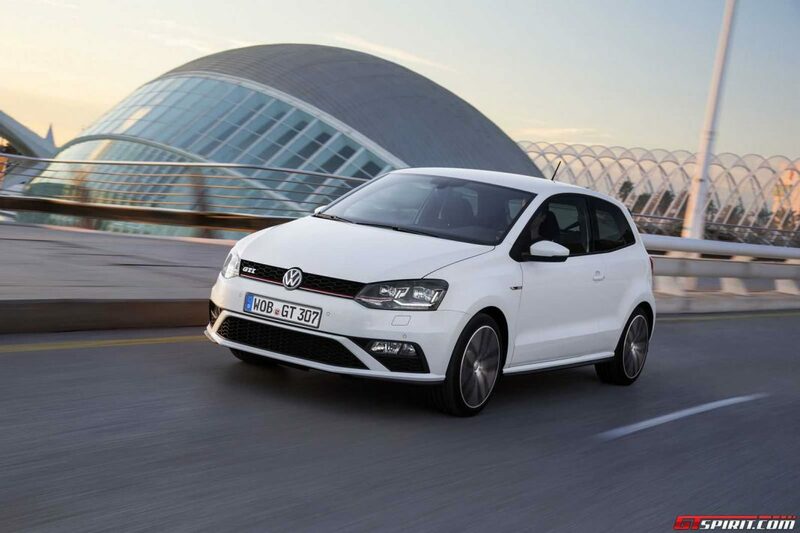 This means the Polo GTI is fitted with electronically adjustable dampers. We learnt that this option is only available in conjunction with the ‘Sport Performance Kit’. The basic setting of this suspension system is already sporty but more comfortable than the stock sports suspension. The ‘Sport’ button in the centre console activates the valves in the dampers which make the car stiffer and more agile. This works in conjunction with the new electromechanical power steering and pedal response. ESC works together with systems like ABS, Hill Hold Assist, engine drag torque control, electronic differential lock and one that is very important, XDS+. This system uses brake interventions during cornering to reduce the required steering angle. This results in more precise handling in different circumstances. For example track driving, but also on snow. Another technical highlight is the Automatic Post-Collision Braking System, which we did not plan on testing. This system brakes the vehicle when a potential crash is detected. During braking, controlled handling is possible to avoid a second crash. The driver can overrule the system at any time. The Driver Alert System also comes as standard. 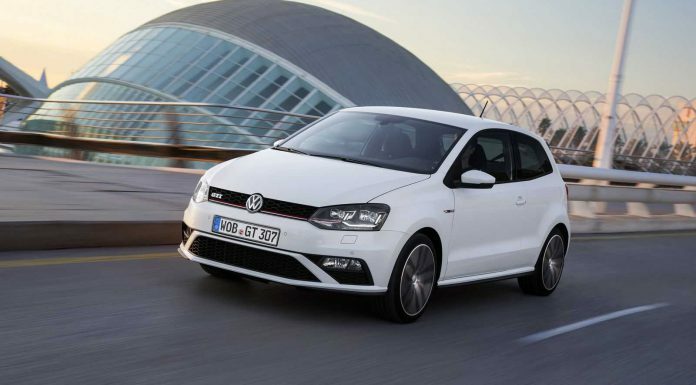 The new Volkswagen Polo GTI has been fitted with a new 1.8 TSI engine instead of a 1.4 TSI like the previous Polo GTI. This third generation EA888 engine is a downgraded version of the 2.0-litre that is used in the Golf GTI. 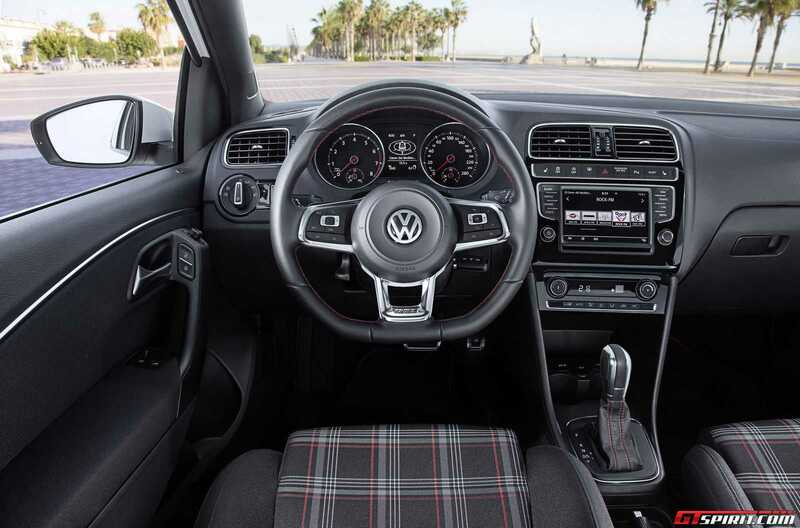 The turbocharger, with direct injection, delivers 189 HP and the best thing is, Volkswagen offers the Polo GTI with a 7-speed dual clutch automatic DSG gearbox AND with a 6-speed manual which comes as standard. If we look at the details we see a difference between the power range and the torque figures. The manual versions peaks between 4200 rpm and 6200 rpm and delivers a maximum torque of 320 Nm between 1450 and 4200 rpm. The DSG on the other hand has the power peak between 5400 and 6200 rpm and has a maximum torque of 250 Nm. The difference of 70 Nm has no effect on the top speed and 0-100 km/h figures however. 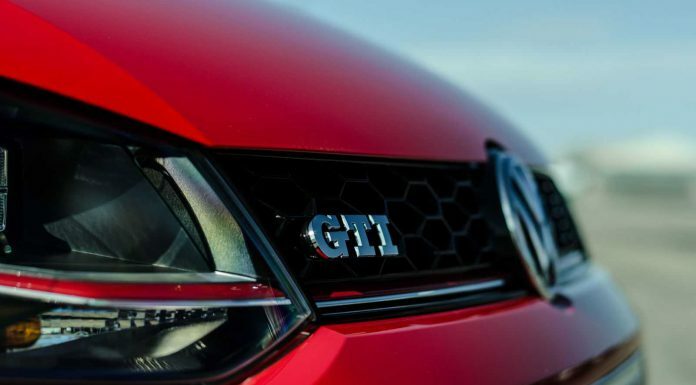 With this in mind, the new Volkswagen Polo GTI has a top speed of 236 km/h and does 0-100 km/h in 6.7 seconds. 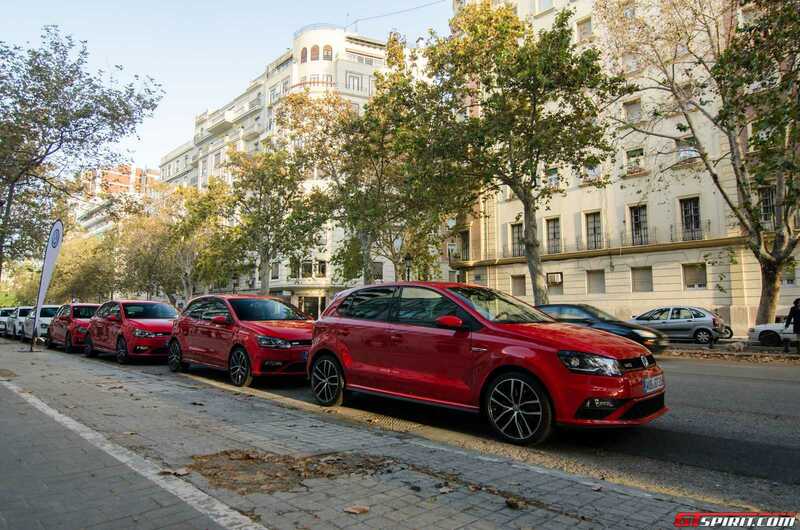 Fuel consumption is not what the car was built for but the new Polo GTI contains a lot of new technology that make the car more efficient and comfortable for daily use. To mention a few; water-cooled exhaust gas routing to the turbocharger fully integrated into the cylinder head, a water-cooled integrated exhaust manifold, variable valve timing with dual camshaft adjustment and valve lift on the exhaust side with two stages. These technologies not only reduce the fuel economy and lower the emissions but also contribute to a better performance. This results in fuel consumption of 5.6l/100km for the DSG gearbox and 6.0l/100km for the manual variant. After the press presentation, it was time to hit the race track of Valencia which is about 30 minutes outside the city centre. 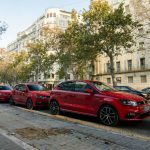 Five Polos were lined up behind a Volkswagen Golf GTI all fitted with the 7-speed dual clutch DSG gearbox and the Sport Performance Kit. We pressed the Sport Select button and made sure the traction control (ASR) was switched off. Pushing the ASR button more than three seconds then activates the ESC Sport mode, which provides a more pure driving experience on the track with less intervention. In a train of six cars we convoyed out of the pitlane. The first lap is all about getting to know the track, the ideal line and the apex of every corner. The track is 4 kilometres in length with a total of 14 turns. 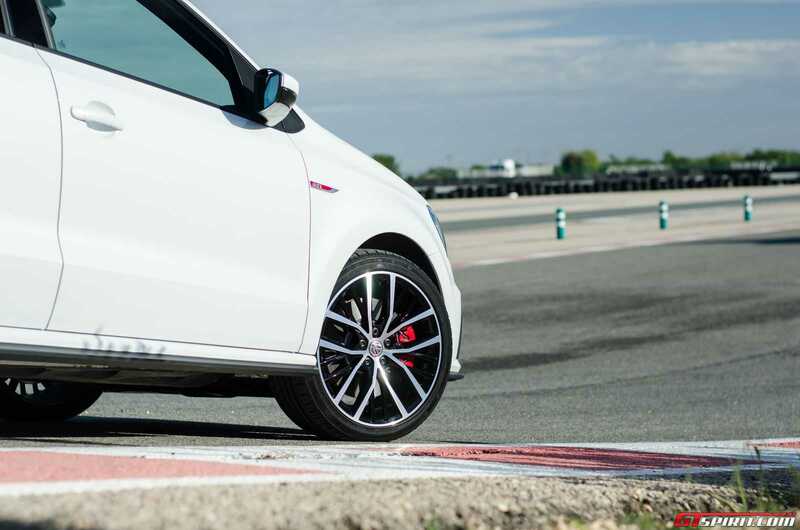 It seemed to be the perfect track to test the new Polo GTI with its variety of long and short corners. The seating position was great, the steering wheel gave enough grip and was not oversized like a number other hot hatches on sale today. After one lap we sped up. The first thing we noticed was the sound of the engine. With the presence of a sound actuator, it felt that the engine really started to growl. After a few corners we felt that the car was well balanced. The steering was not heavy but gave enough feedback to feel what is going on thanks to the electromechanical power steering. On the third lap we began to push the car’s upper limits. The tyres began to squeal and we were pushing hard when accelerating out of the corners. With the gearbox in Sport mode, which is automatically engaged, up and downshifting is done automatically. This setting shifts at the optimum times, particularly under braking and downshifts. The shifting was accompanied with the well known DSG pop and bangs. After more and more corners it felt as if the front tyres were losing their grip a little too soon which led to ever greater understeer. This was disappointing as it lets the well-sorted chassis down. The brakes were not troubled during our time on track with them working fantastically throughout. During the press presentation we had seen some images of lift-off oversteer. It was possible to back the car into oversteer, but it does not occur naturally. The final laps were used to experience the paddles to get in touch with the car a little more. The up shifts did not go unnoticed. It gave a sporty shock in every gear which is a big plus. The exhaust also seemed to pop and bang a little more. 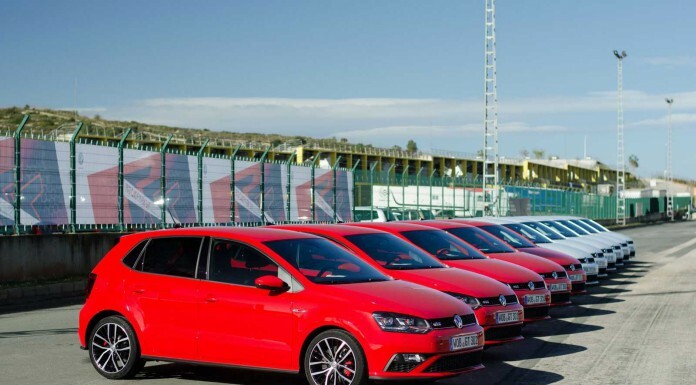 The track was a great way to get to know the car and its limits but these few laps were not enough to give a full review about the new Volkswagen Polo GTI. It the mean time, the temperature in Valencia was rising up to well above 20 degrees. With a few hours time for driving left, we chose between driving roads around the track or from the track to Valencia. We took the longest route, which took around 1 and a half hours before we would reach our hotel. The route brought us to the country side of Spain, followed by a drive through ‘Parc Natural de la Albufera Oficina’ along the coast to Valencia. Volkswagen had set the route into the navigation system so we could focus on driving instead finding the right route. Finally it was time to give the new 6-speed manual gearbox a try! After the first acceleration run, we could already feel the differences to the DSG gearbox. The figures say the torque peak comes later but this is hardly something that we noticed. What we did feel was the difference in torque. 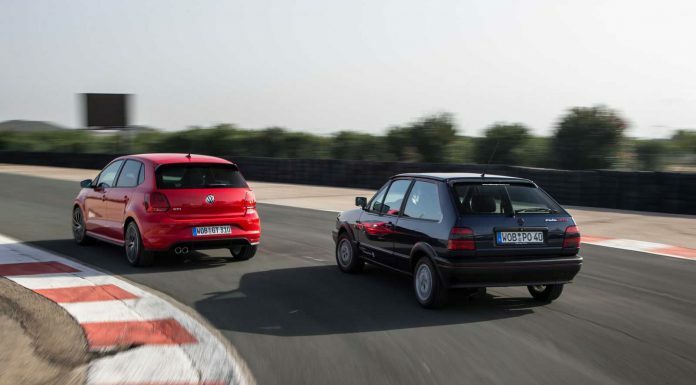 The Polo GTI pulls away more aggressively and you expect the limiter way earlier than after 7000 rpm. The first roads in the country side were fantastic. The curves coated with some good quality asphalt were well suited for this test drive. While flowing between the bends, we admired the orange laden trees. Looking at the style of the farms and houses, it felt as is we were in South America or Mexico rather than Spain. As the skies clouded over, we approached the coast. Outside the streets between the apartment buildings of the villages we’re quiet. A few locals sauntered around making these towns look like ghost villages without any Spanish temperament. After another 30 minutes of driving we decided to use the final glimmers of the cloudy sunset and set the car next to an abandoned house for some photos. After the photos, the route took us on the highway to Valencia. During this route, we were surprised by the torque in the lower bands of each gear. It definitely felt like we were driving one gear lower than we were. We then arrived in front of Hotel Hospes Palau de la Mar in Valencia. We lined the car up in a row of Polo GTIs and headed to our hotel room for a quick freshen up. After a tapas dinner with typical Spanish food in a nice local restaurant it was time to turn in for the night. 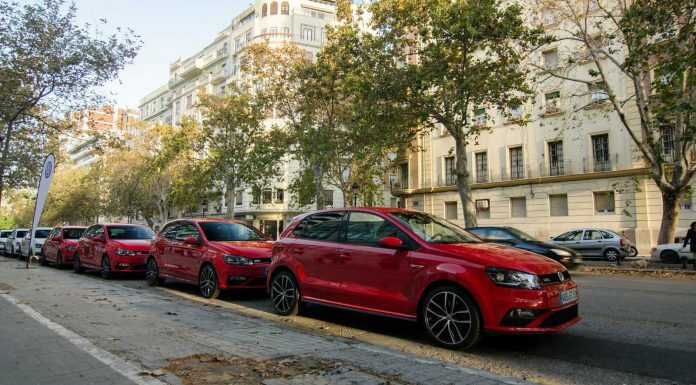 The final day of the international press presentation of the new Volkswagen Polo GTI was upon us. Our shuttle to the airport was scheduled in a few hours so we had to make the most of our remaining time. For the short trip from the hotel to the track we picked a Polo GTI equipped with the DSG gearbox and the Sport Performance Kit, very similar to the one we drove on the race track. The first part of the trip consisted of some Valencia city driving. With everything in normal, the DSG gearbox shifts up very early, perhaps too early. In combination with the size, it’s almost a perfect city car. 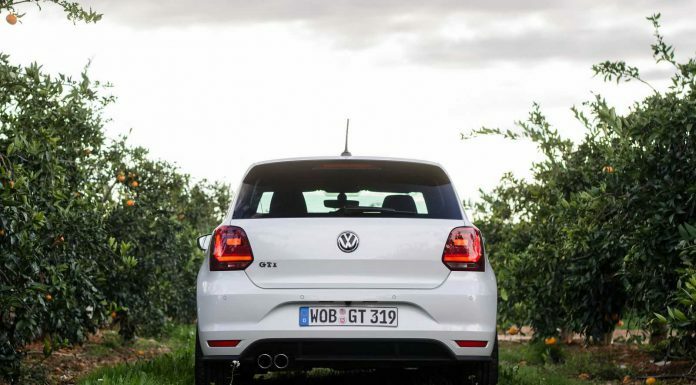 With that being said, the suspension still felt a tad too hard on bumpy roads for the GTI to win any city car awards. After some troubles finding our way out of Valencia with all its one way streets and traffic in combination with big roundabouts (and driver error! ), we made it to the highway. 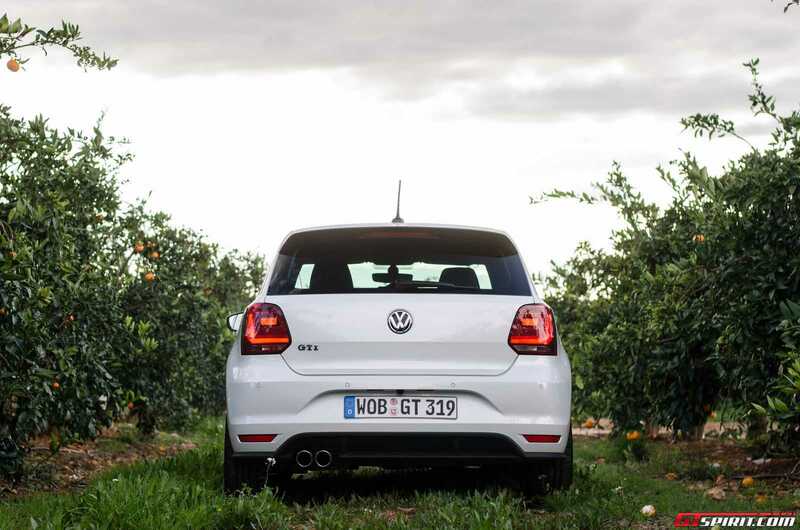 Entering and leaving the highway is a whole lot of fun with the Polo GTI. Compared to the race track, this is the real world where most of the people will use such a car. The car felt steady in the corners and as a driver, it inspires confidence. It was a shame that the test driving was coming to an end. Back on the race track, the Volkswagen Polo G40 was present. We grabbed the keys and drive it around the small circuit next to the Volkswagen stand. It was nice to see how much has changed through the years. With 114 hp and its light overall weight, it still felt like a quick car! At low speeds, the steering required some real muscle as there were no systems whatsoever. To use our final hour wisely we jumped into a Polo GTI together with the head of Infotainment & Media of Volkswagen. 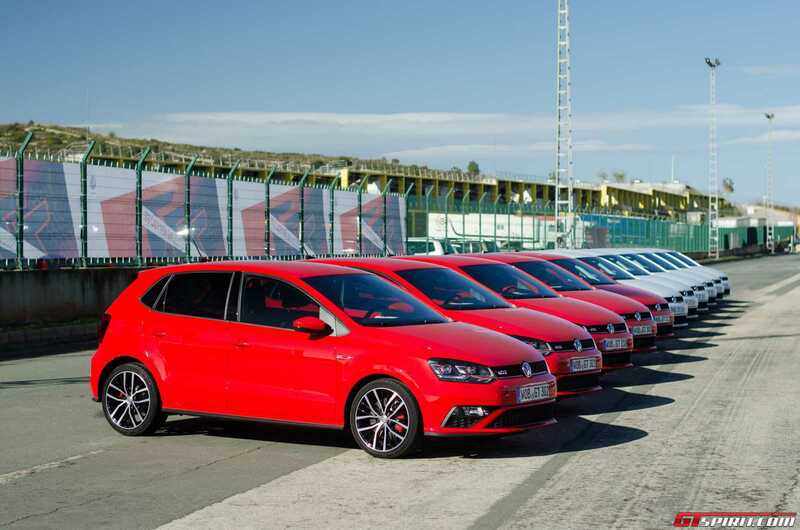 He explained to us the most important and fun gadget of the new Polo GTI, MirrorLink. With MirrorLink, you can connect your smartphone to the infotainment system. Put your smartphone away and you can use it via the touchscreen of the car. You cannot use everything because of safety reasons but there are various apps which you can use while driving. We got a little demonstration on how to make music while driving for example. After picking a music theme, we started to drive. The music sound changes depending on how fast you’re accelerating or braking and other actions. This produced some surprisingly cool beats. Besides fun, there are also some useful apps, the Blue Trainer for example. Drive in an environmentally friendly manner and you will win challenges while driving. You can share these challenges with your friends and show them how good of a driver you are. It’s not for us, but the development is certainly interesting. There are also apps which can be used to stream music or even build joint playlists with friends or family members in the car while driving to a concert. We also took a closer look into the interior. The seats had the retro checked GTI look which we like very much. Furthermore, the car has red stitching around the steering wheel, gearknob and handbrake. 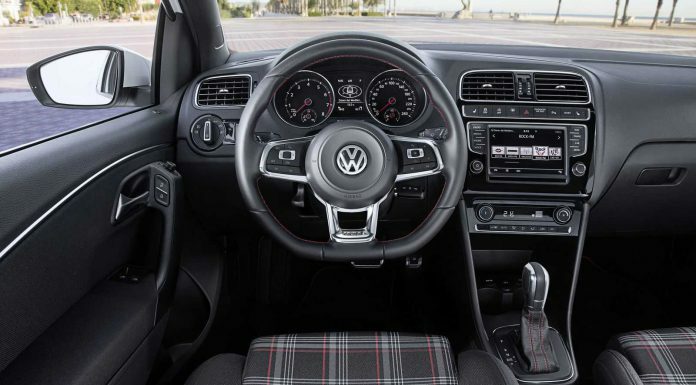 The rest of the interior is everything what you expect from Volkswagen, solid and user friendly. 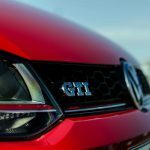 Compared to the previous model, the new Volkswagen Polo GTI has had a substantial make-over, especially under the skin. The fact that it is offered with a DSG and manual gearbox is also a big plus and as far as we know it is the only one in this segment to offer both options. If we compare the looks, the Volkswagen Polo GTI wins the ‘sheep in wolves clothing’ look. 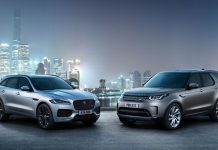 Comparing the driving experiences, it is the best all-rounder to go for. On one hand it is comfortable with great fuel consumption but a real speed machine when you want to have some fun, especially when you can push the ‘Sport Select’ button!